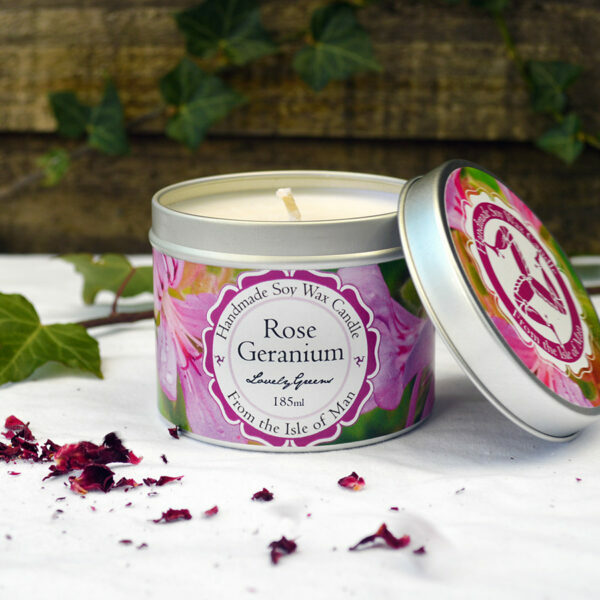 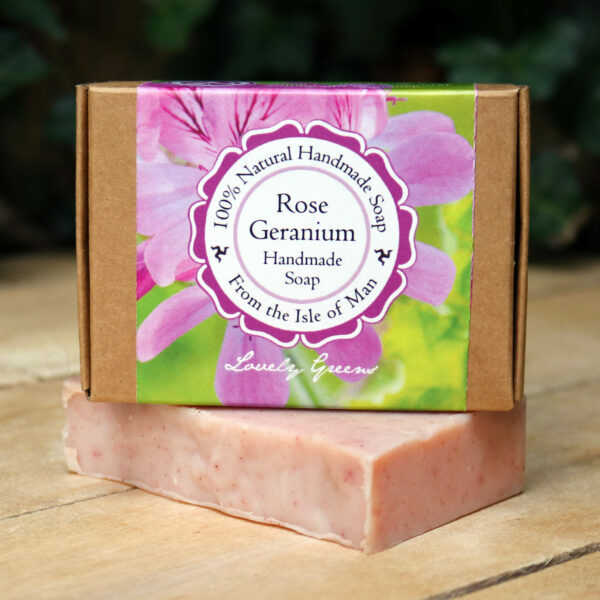 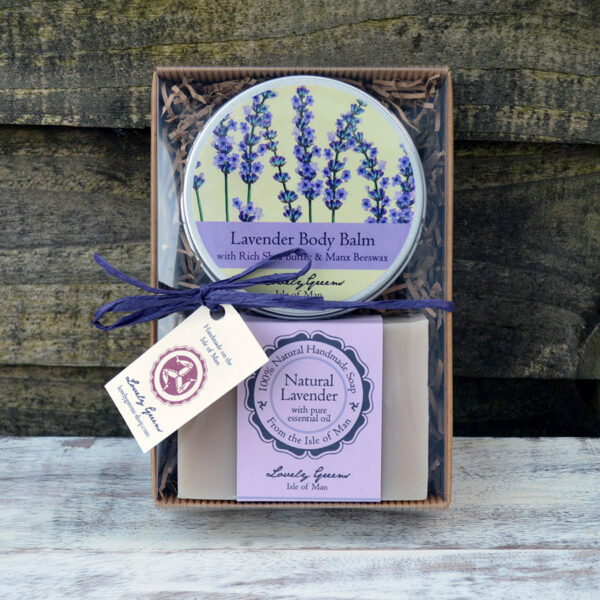 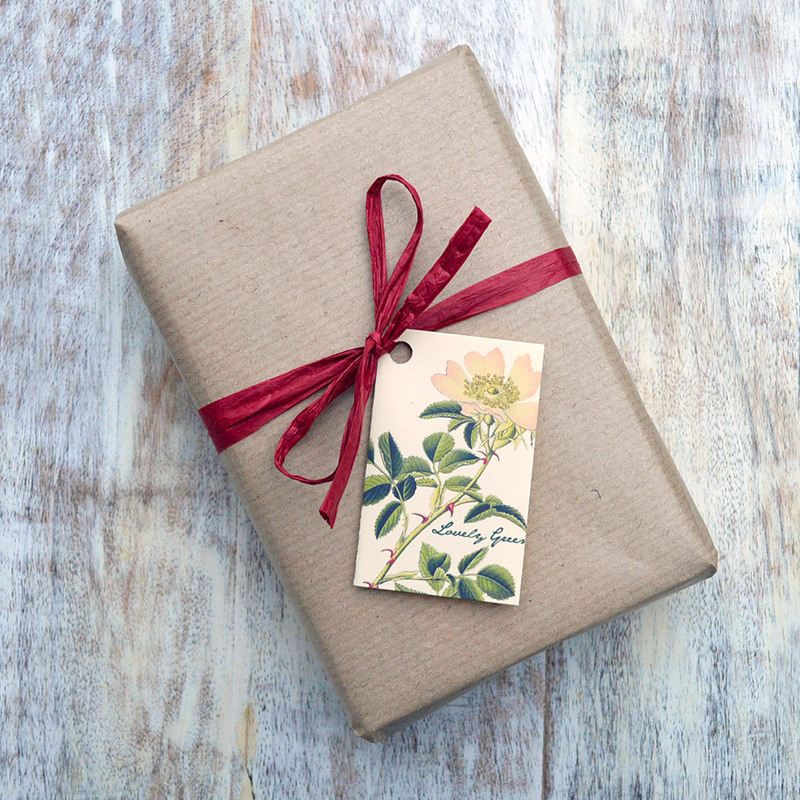 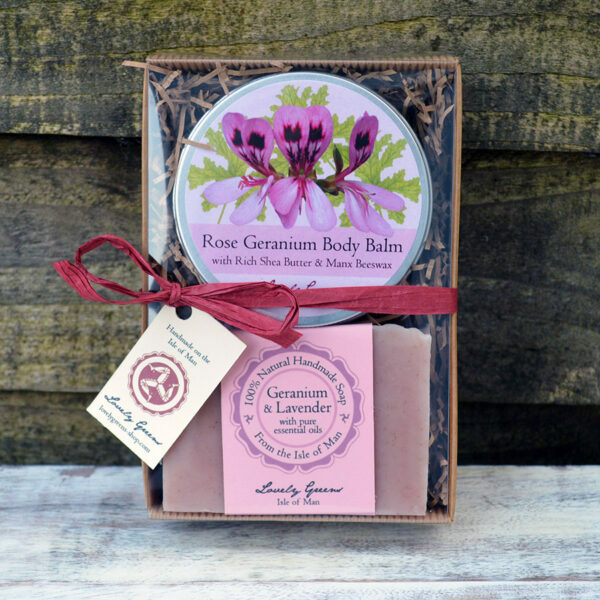 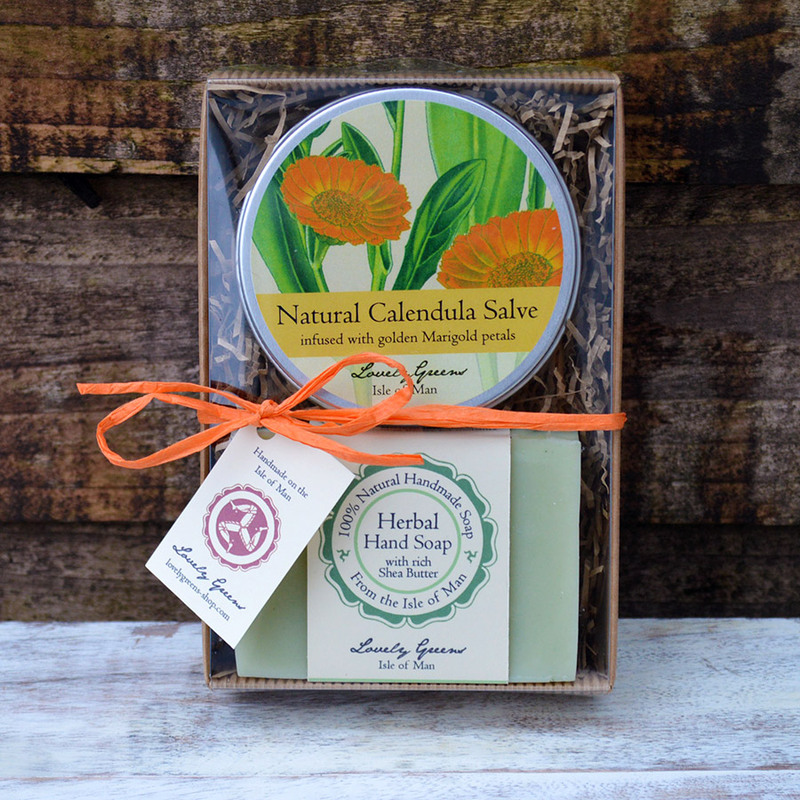 This natural cleansing and skincare set is the perfect gift for cooks and gardeners alike. 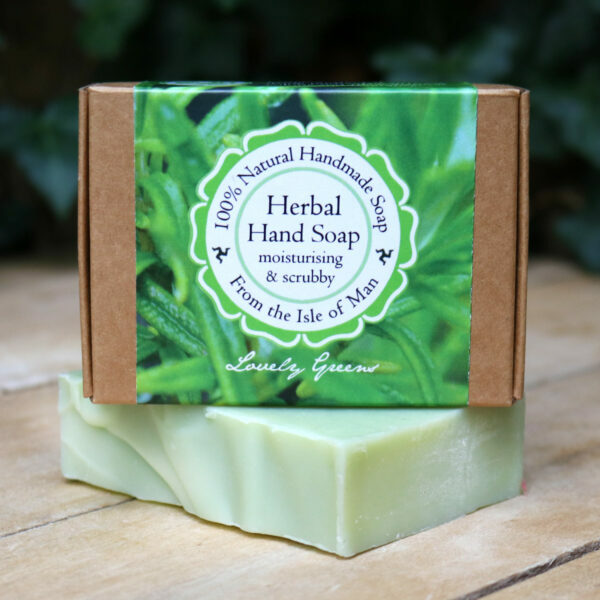 Lovely Greens Herbal Hand Soap contains rich Shea Butter and Neem oil to help keep your hands clean and moisturised and fine particles of natural pumice to gently pull dirt and grime. 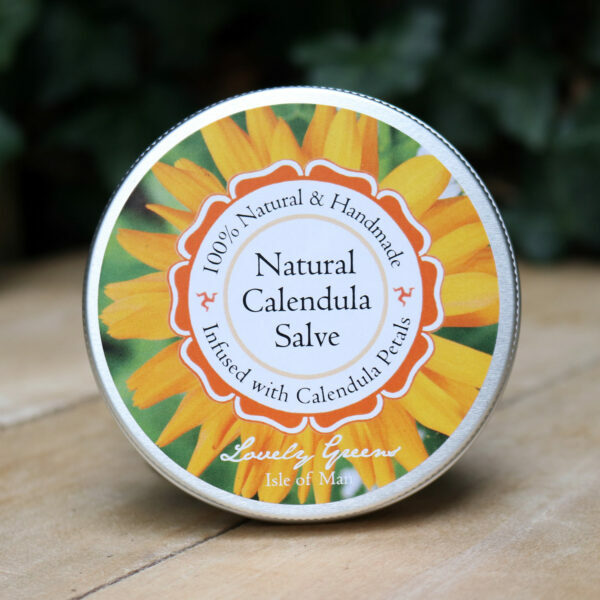 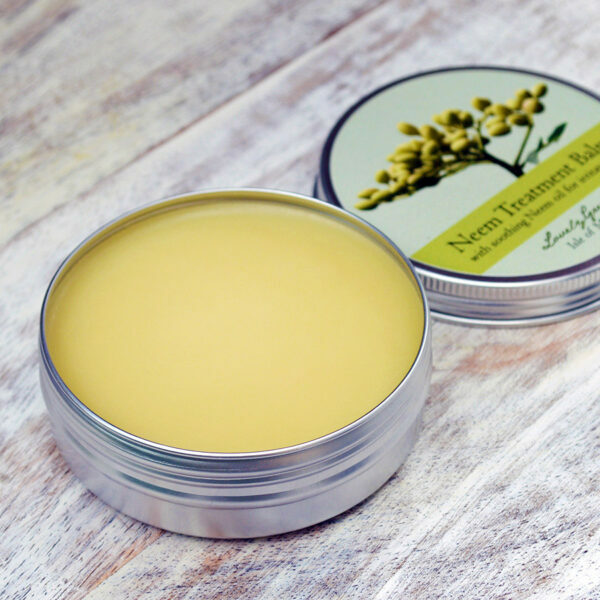 The Natural Calendula Salve can be used on your hands and all over the body to deeply nourish your skin. 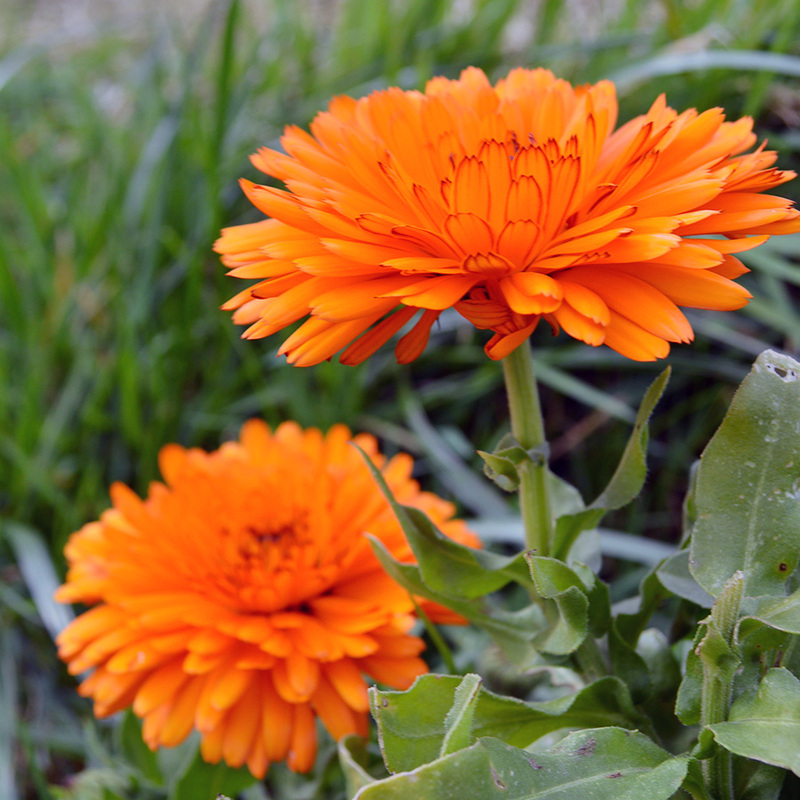 Calendula extract is also used by herbalists to promote skin health. 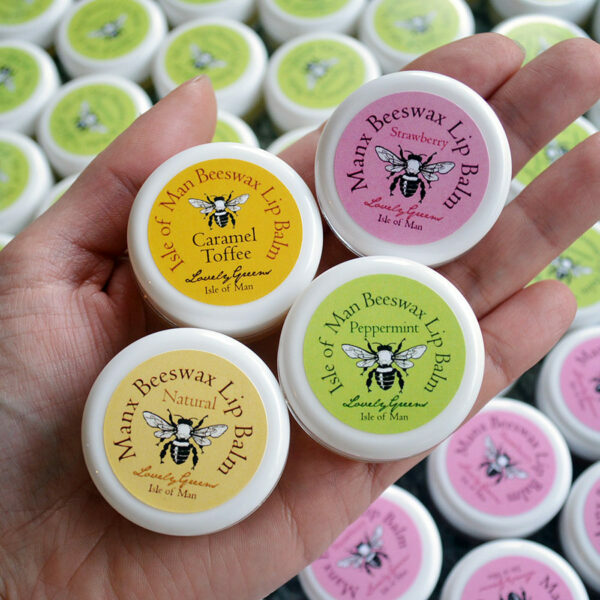 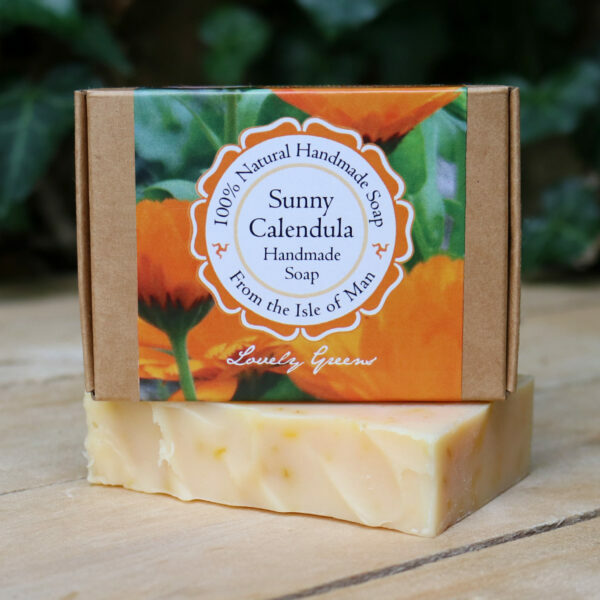 Natural Calendula Salve ingredients: sweet almond oil (prunus dulcis oil), shea butter (butyrospermum parkii), manx beeswax (cera alba), calendula (calendula officinalis) flower extract, vitamin e (tocopherol) oil. 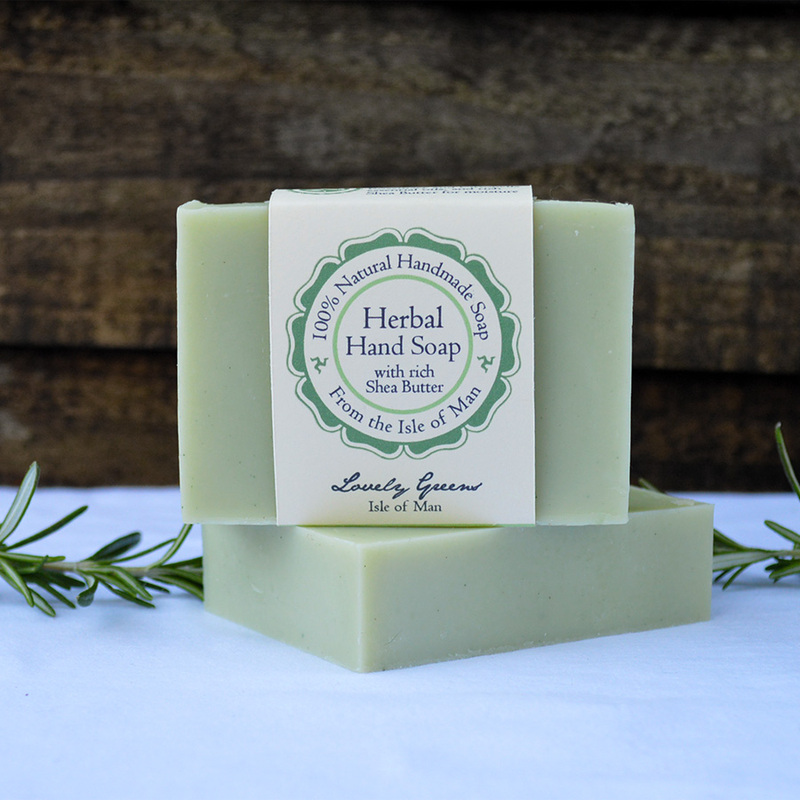 Herbal Hand Soap ingredients: olive oil (sodium olivate) soap, coconut oil (sodium cocoate) soap, sustainably sourced palm oil (sodium palmate) soap, grapeseed oil (sodium grapeseedate) soap, castor oil (sodium castorate) soap, neem oil (sodium neemate) soap, shea butter (sodium shea butterate) soap, rosemary (rosmarinus officinalis) leaf oil, citronella (cymbopogon nardus) oil, cedarwood (cedrus atlantica) bark oil, rosemary (rosmarinus officinalis) leaves, volcanic ash pumice, mineral colour, grapefruit seed extract (citrus grandis).